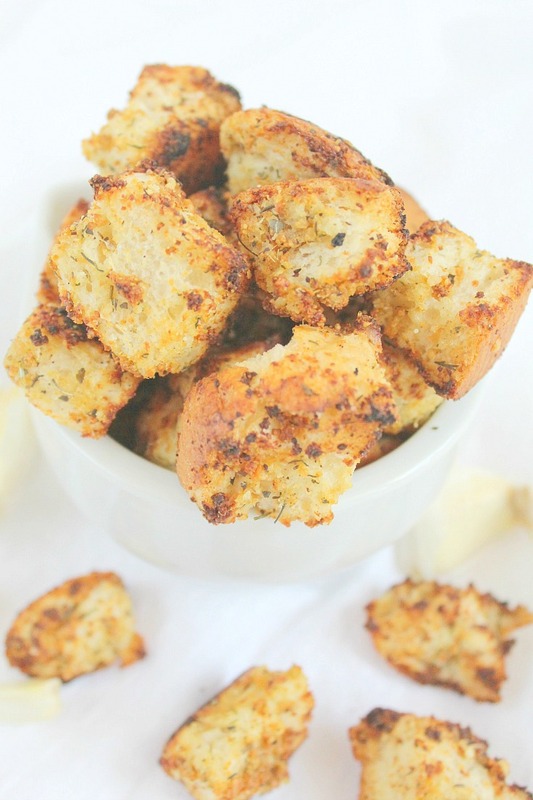 Take homemade croutons to the next level with these garlic herb croutons! Crisp and full of flavors, these are an excellent addition to your salads, soups or as snacks. My daughter loves croutons in her soup, so much that she’s developed an addiction lately. 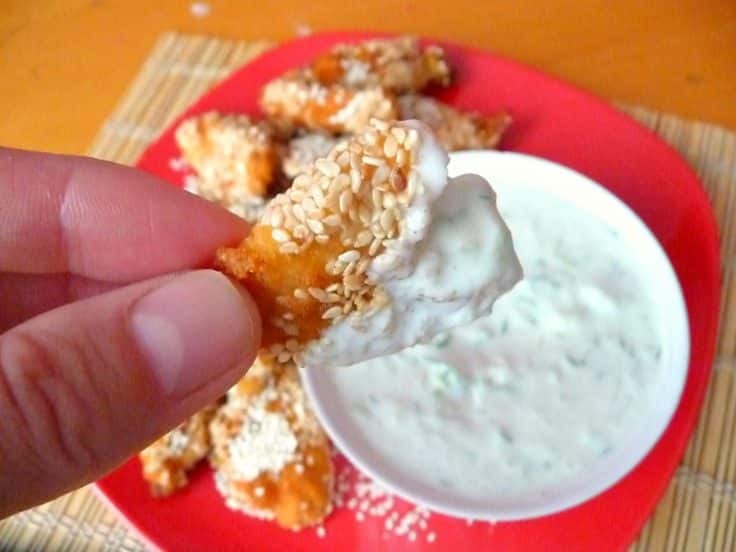 I, on the other hand, love them as snacks with any sort of cheese dip or a tzatziki sauce. These garlic herb croutons seem to be the perfect match for these dips, in my opinion and I also love a little mid afternoon crunchy! These garlic herb croutons are crisp enough for my taste and so flavorful that I only need a few to nibble on for feeling full. 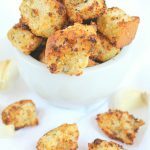 These garlic herb croutons are super easy to make and taste so much better than the commercial alternative. Plus they’re fresh! And versatile, you can basically add any flavor you like or just make them plain. 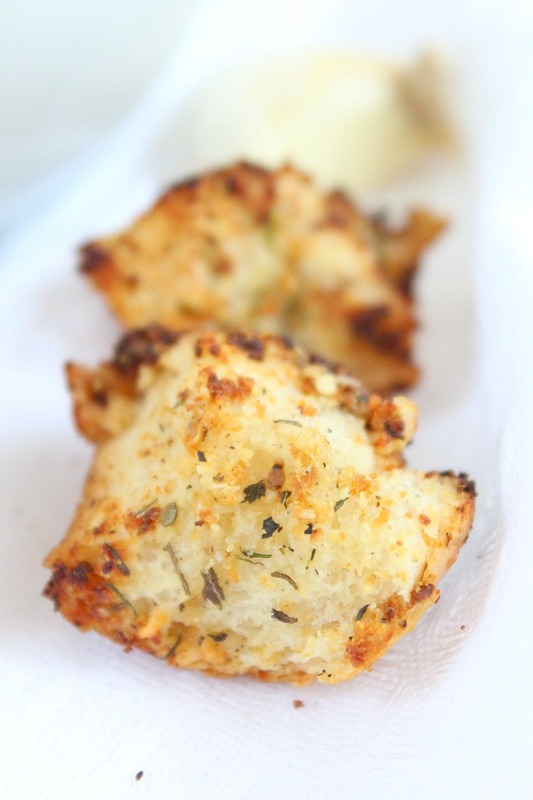 I personally love anything garlic and cheese so I made these with garlic powder and Parmesan and made things even more yum by adding onion powder, thyme, basil and dill. Basically the mother of all croutons!!! 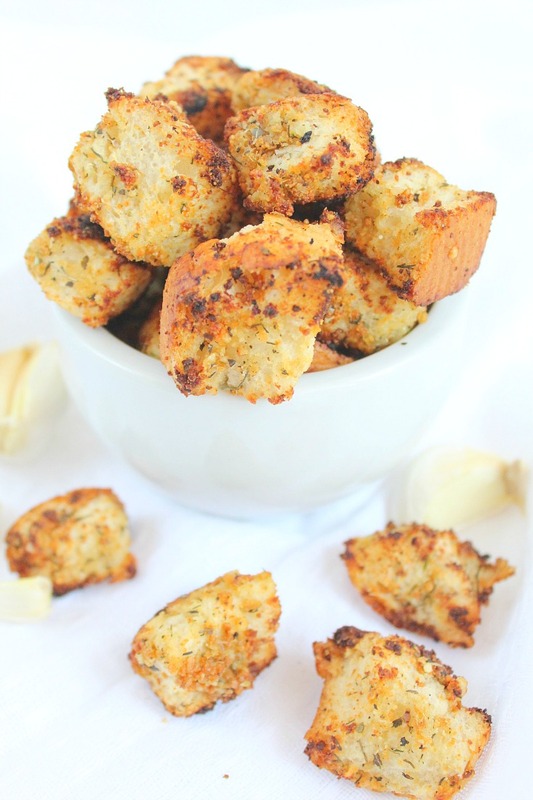 Since I only added a small amount of oil and them baked them , these garlic herb croutons are pretty healthy too! 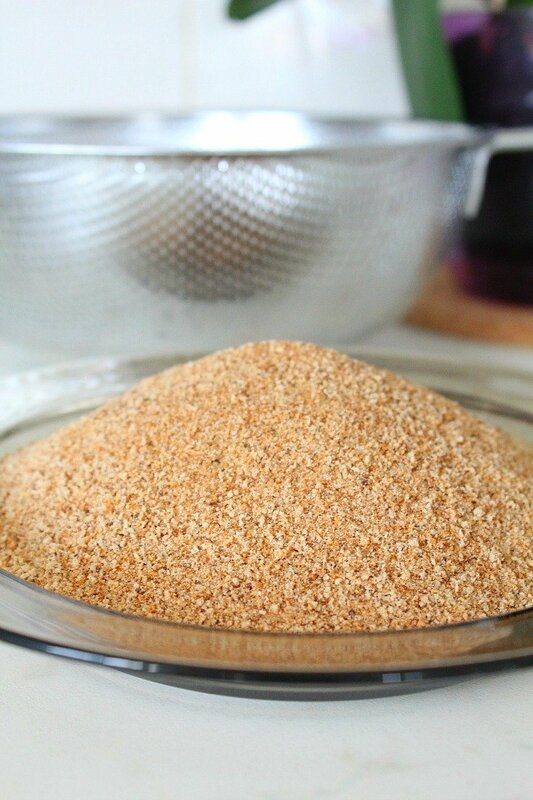 Mix all ingredients in a large bowl then add the bread cubes and toss well until coated. 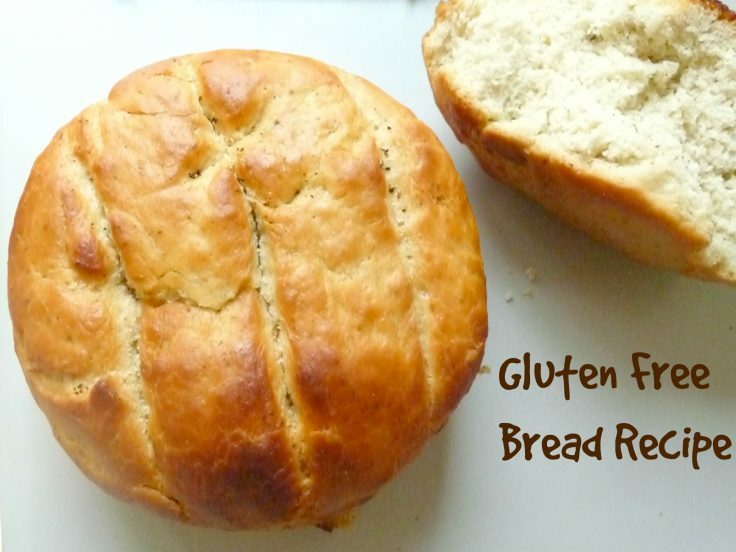 Coat a baking sheet with parchment paper then add a layer of bread cubes. Bake at 350 F = 180 C or until crisp. Enjoy your delicious garlic herb croutons in salads, soups or as a snack. I could become addicted to these croutons pretty easily too! They really do look wonderful and there are so many lovely flavours in the recipe. Pinned and stumbled. Thank you for sharing with us at the Hearth and Soul Hop. 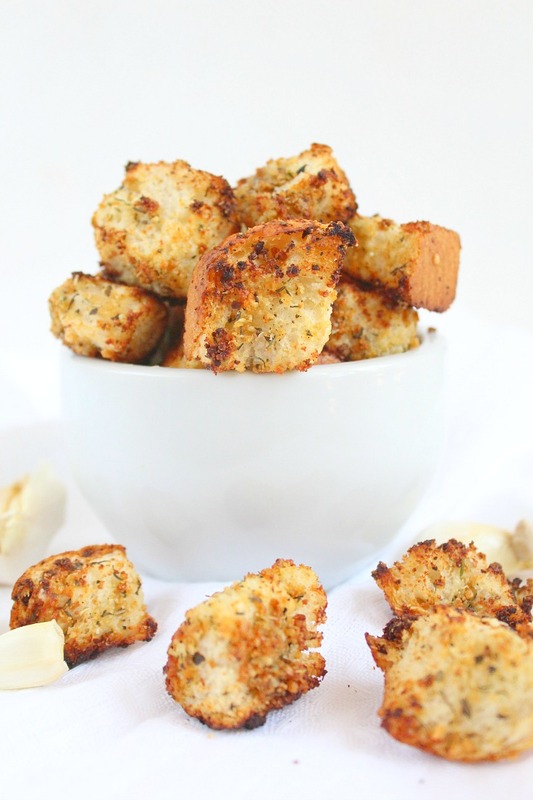 Your Garlic Herb Croutons look awesome. Thanks so much for sharing with Full Plate Thursday and come back to see us real soon! Hi Gina. Thanks so much, hope you guys will love these!! Have a wonderful day!